Unitarian Universalists Worship in the Park. End of Year Celebration / Picnic with Elgin, Rockford, Rockton, and DeKalb churches. 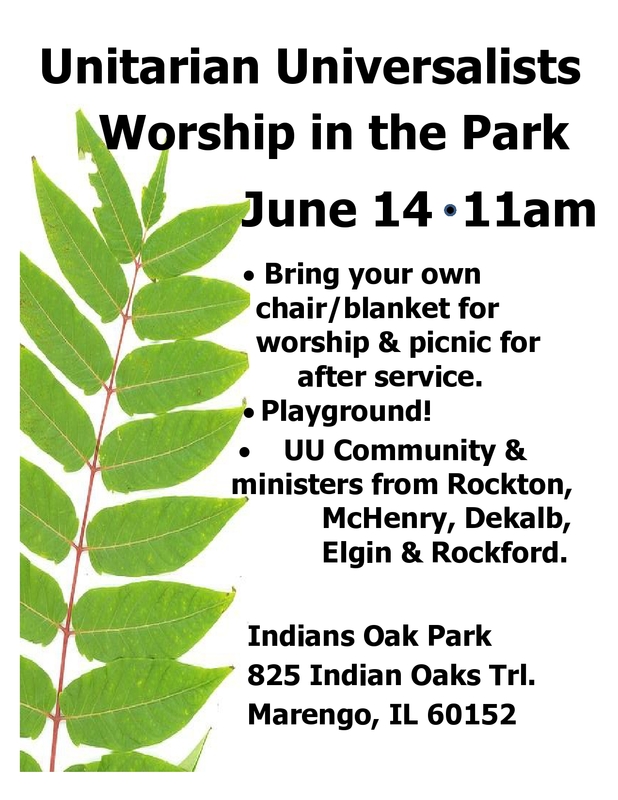 Bring your own chair / blanket for worship, and a picnic lunch for after the service.